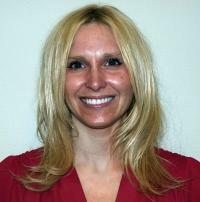 June 28, 2013 - Third-party logistics provider Kane Is Able, Inc. (KANE -- www.kaneisable.com) has named Marissa Marsico, CPA, as Controller. Marsico is responsible for the accounting operations of the company. She reports to Lou Houck, KANE Executive Vice President and Chief Financial Officer. Marsico comes to KANE from ParenteBeard in Scranton, Pennsylvania, where she served as a senior audit manager. Prior to that, she served as a supervisor at McGrail Merkel Quinn and Associates. Her financial experience includes financial audits, operational assessments, and financial feasibility assessments of for-profit and nonprofit clients in New York, New Jersey, and Pennsylvania. A resident of Olyphant, Pennsylvania, Marsico holds a B.S. in Accounting from the University of Scranton, and she is a graduate of ParenteBeard's prestigious Leadership Development Program. She is certified through the American Institute of Certified Public Accountants and the Pennsylvania Institute of Certified Public Accountants.